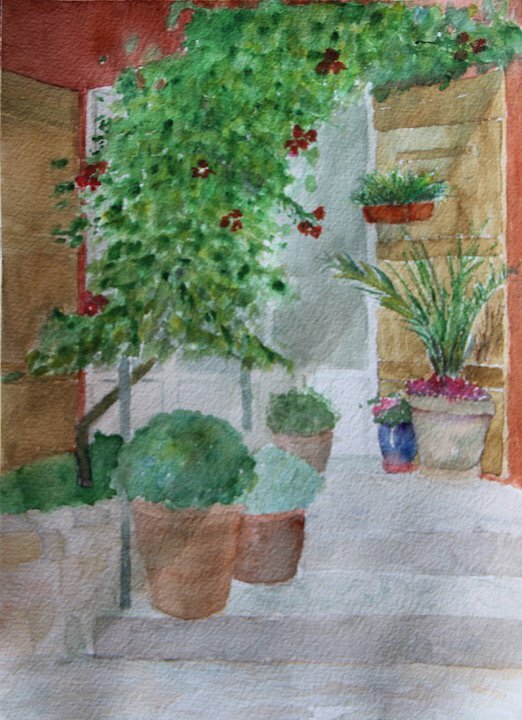 Work by my students, produced during the course. 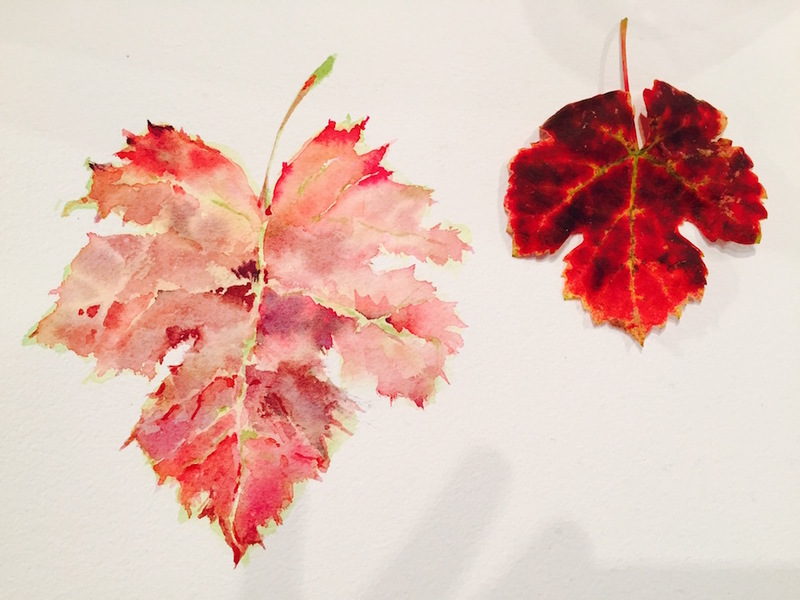 Student's painting of vine leaves. 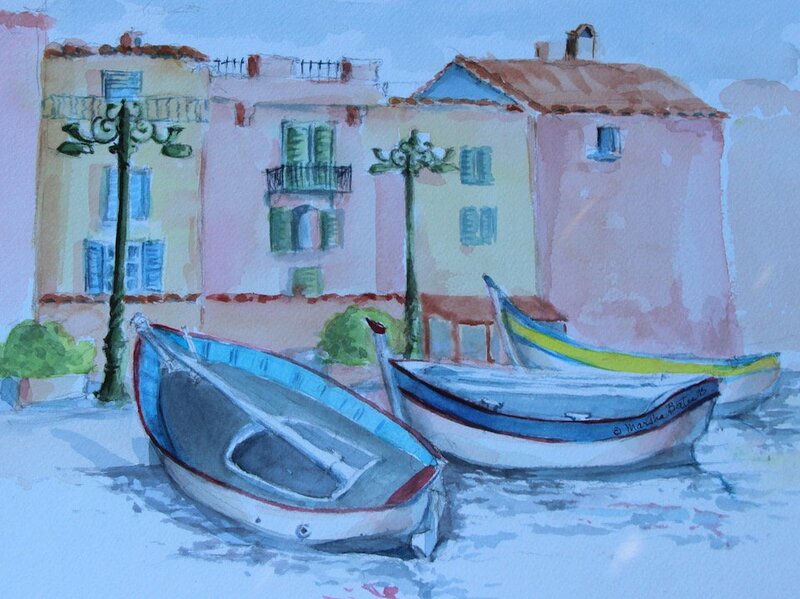 St Tropez, painted by Marsha, October 2015. 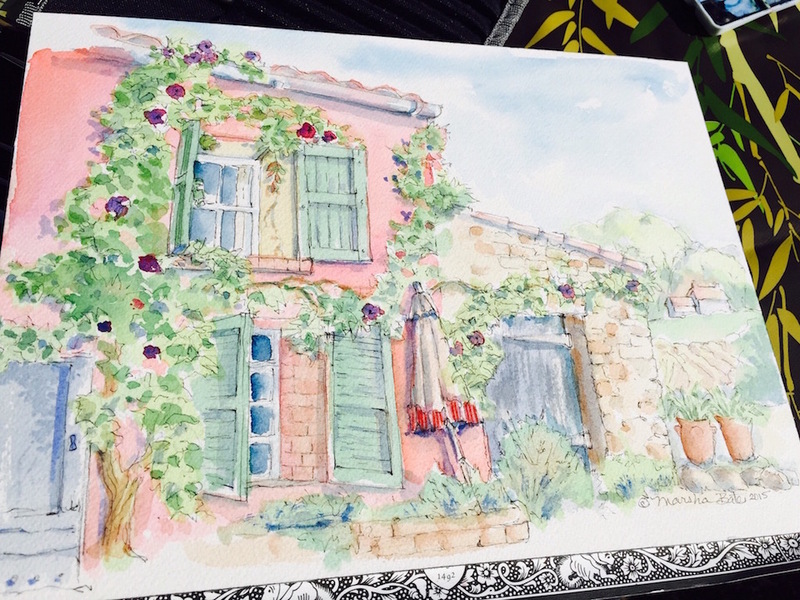 Meredith's paintings from her week in Provence. Vineyards in Provence, painted by Florence.